Add vital storage space to your bedroom with this beach-inspired drawer chest. 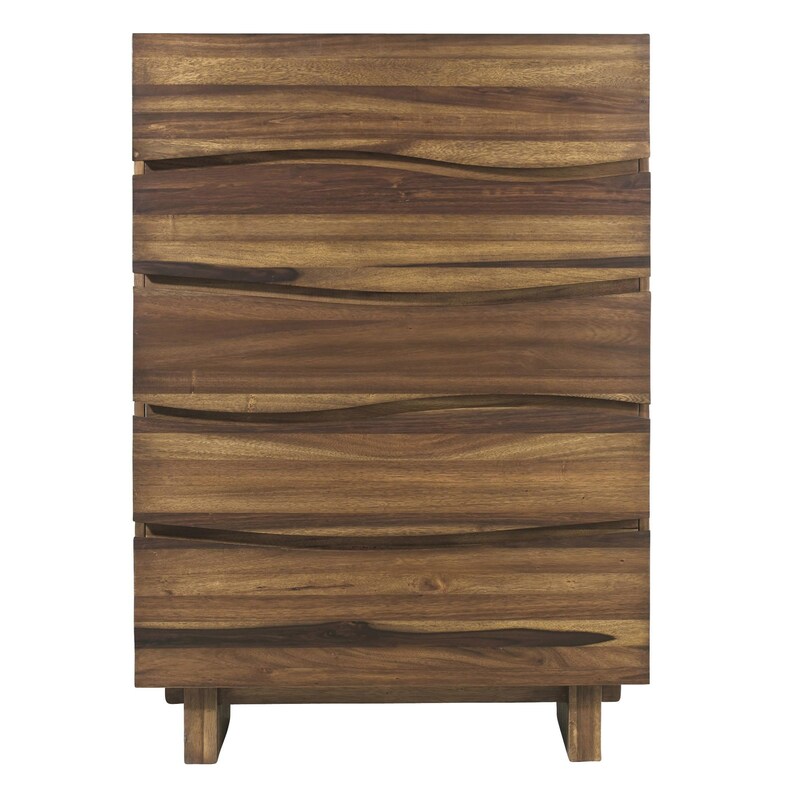 The chest features five drawers, each defined by distinct wave drawers fronts. Removable felt lining in the top drawer helps to protect your clothing, while the tall design gives you great storage without taking up extra floor space. The Ocean 5 Drawer Chest by Modus International at HomeWorld Furniture in the Hawaii, Oahu, Hilo, Kona, Maui area. Product availability may vary. Contact us for the most current availability on this product.